Considered booking a Gallipoli Historic Center vacation package? It's a piece of cake with Expedia, and you'll be able to buy a few nice dinners or presents for your buddies back home with the money you save. Getting fired up about your trip to Gallipoli Historic Center? Want a few hints about what to do and see when you get there? That's where we come in! Since long ago, we've dropped coins into fountains for luck. Why not take a photo and make a wish at Gallipoli Greek Fountain? There's an excellent range of things to keep you busy in this destination. Gallipoli Castle is an intriguing complex of history-filled corridors, halls and rooms. Take a peek, wander the grounds and try to learn something about this grand fortification. Still have some time to spare? Abandon your history books! See the past jump off the page at Diocesan Museum of Gallipoli. 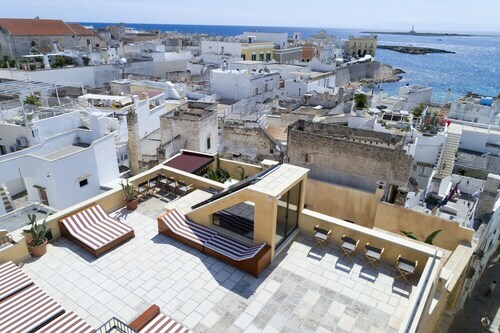 In Gallipoli Historic Center, you'll find as many as 29 Expedia places to stay in. Book right away for the greatest cheap vacations and luxury getaways. Looking for a comfortable room with an affordable price tag? 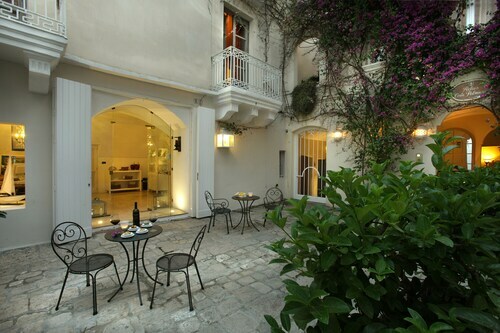 Have a look at the Hotel Bellavista Club (Corso Roma 219) or the Residence Palazzo Mongiò (Corso Roma). Both have great reviews, and they don't cost a fortune! Want to spoil yourself instead? You can live it up at the Palazzo del Corso (Corso Roma, 145) or the Palazzo Mosco Inn (Via Micetti, 26). Are you wondering how to commute from Papola Casale Airport (BDS) to Gallipoli Historic Center? Once you have pulled your bags off the carousel, you'll be approximately 40 miles (64 km) to the north of the main streets. Explore the rooms of this ancient castle, which has witnessed several invasions and stands proud at the entrance to Gallipoli’s historic center. Stop by this 13th-century religious monument on a walking tour of the atmospheric and architecturally impressive streets of the old town district. Located in Gallipoli Historic Center, this resort is steps from Purita Beach, Diocesan Museum of Gallipoli, and Gallipoli Port. Gallipoli Castle and Frantoio Ipogeo are also within 5 minutes. Gallipoli Station is 14 minutes by foot. 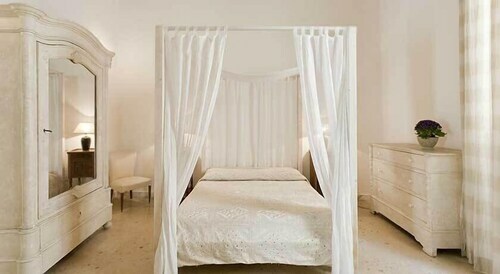 Located in Gallipoli Historic Center, this bed & breakfast is steps from Purita Beach and Gallipoli Port. Frantoio Ipogeo and Diocesan Museum of Gallipoli are also within 5 minutes. Gallipoli Station is 15 minutes by foot. Located in Gallipoli Historic Center, this guesthouse is steps from Frantoio Ipogeo, Diocesan Museum of Gallipoli, and Purita Beach. Church of St. Francis of Assisi and Gallipoli Castle are also within 10 minutes. Gallipoli Station is 16 minutes by foot. Located in Gallipoli Historic Center, this bed & breakfast is steps from Purita Beach, Diocesan Museum of Gallipoli, and Frantoio Ipogeo. Gallipoli Castle and Gallipoli Port are also within 5 minutes. Gallipoli Station is 14 minutes by foot. 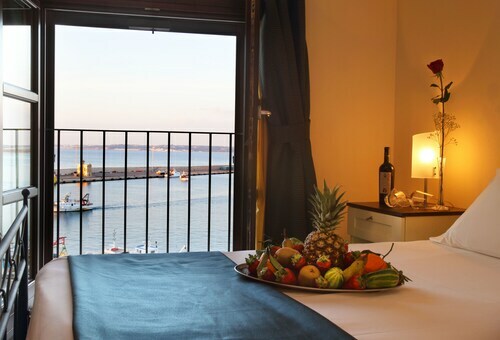 Located in Gallipoli Historic Center, this hotel is steps from Gallipoli Castle, Diocesan Museum of Gallipoli, and Gallipoli Port. 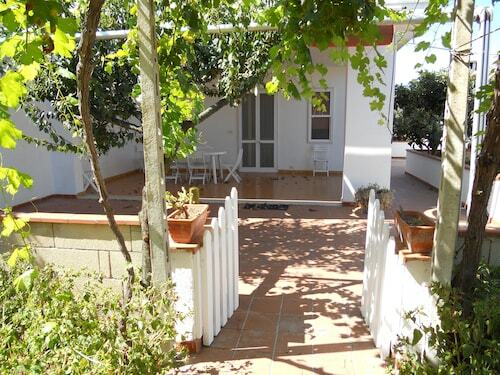 Purita Beach and Frantoio Ipogeo are also within 5 minutes. Gallipoli Station is 14 minutes by foot. 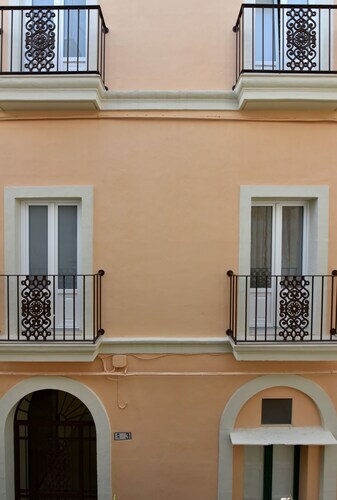 Located in Gallipoli Historic Center, this apartment building is steps from Gallipoli Castle, Gallipoli Port, and Diocesan Museum of Gallipoli. Purita Beach and Frantoio Ipogeo are also within 5 minutes. Gallipoli Station is 13 minutes by foot. 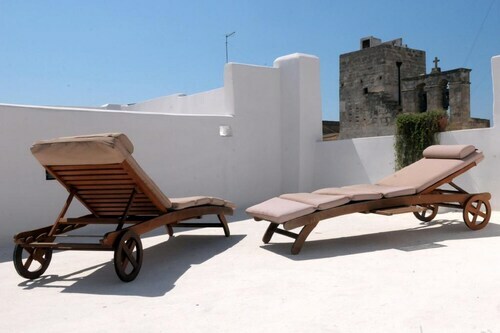 This family-friendly Gallipoli guesthouse is located in the historical district, steps from Purita Beach, Diocesan Museum of Gallipoli, and Frantoio Ipogeo. Gallipoli Castle and Church of St. Francis of Assisi are also within 5 minutes. Gallipoli Station is 14 minutes by foot. Located in Gallipoli Historic Center, this bed & breakfast is steps from Purita Beach, Diocesan Museum of Gallipoli, and Gallipoli Castle. Frantoio Ipogeo and Gallipoli Port are also within 5 minutes. Gallipoli Station is 13 minutes by foot. Tue., 3 Sep. - Fri., 11 Oct.